Libyan election commission says needs budget for February constitution vote - SABC News - Breaking news, special reports, world, business, sport coverage of all South African current events. Africa's news leader. 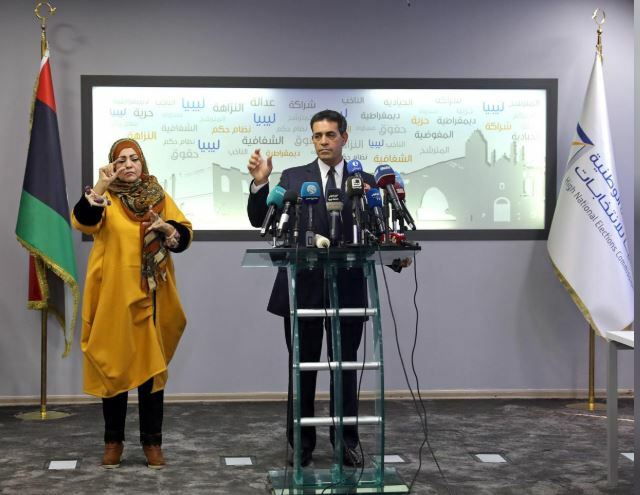 Emad Al-Sayah, Chairman of Libya's High National Election Commission (HNEC), speaks during a news conference in Tripoli, Libya December 6, 2018. Libya’s electoral commission has asked the government for $28.7 million, saying the funding is needed to boost its “zero” budget to organize a vote on a new constitution as early as February. Jalel Harchaoui, a Libya analyst, said lawmakers might agree on final election legislation, despite the resistance of some figures to the UN plan, but he remained skeptical. When it comes to the physical implementation of the actual suffrage, there is no reason to think Libya, taken as a whole, is logistically ready to make it happen in a satisfactory, sage way for all constituents in most territories,” he said. This entry was posted on 07 Dec 2018,06:42AM at 6:42 AM and is filed under Africa, Homepage Latest Stories Slider. You can follow any responses to this entry through the RSS 2.0 feed. Both comments and pings are currently closed.